Music industry veteran, Danny Goldberg is the publicist, manager and record label exec who helped shape the careers of Nirvana, Sonic Youth, Bonnie Raitt, The Allman Brothers and many more. 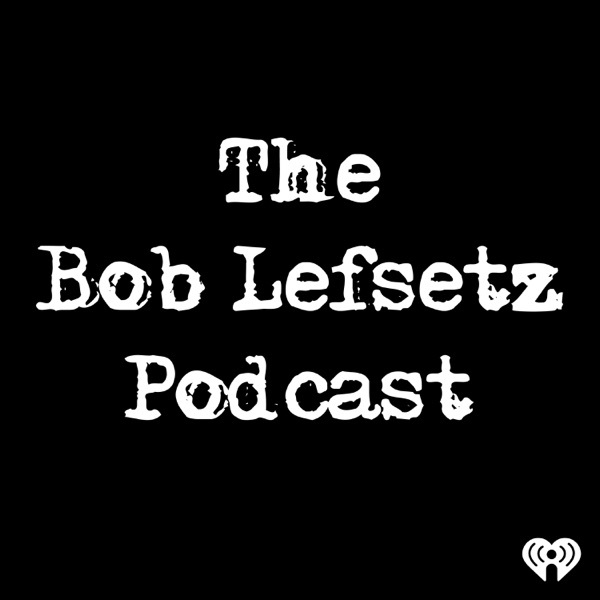 He sits down with Bob to talk music, politics, drugs and business. They discuss today’s political landscape before diving deep into Goldberg’s early years writing for Billboard and being recruited to run publicity for Led Zeppelin. He became a manager and led various record labels, signing icons like Stevie Nicks and Steve Earle. We cover pivotal moments in his career, like the day Kurt Cobain died and end with a discussion about the music industry today. Mastering... An integral part of making records that most people are uninformed about. Listen as preeminent mastering engineer Stephen Marcussen strips away the mystery, tells you about sound and tech and how a tip at the supermarket led to his career. Murray Goldberg, Larry David's manager Jeff...you know Garlin from his numerous TV and film roles as well as his standup. He's the same guy in real life (only younger, thinner and better-looking!) Find out what it takes to make it in comedy, especially when you discover your destiny while watching Jimmy Durante. This week, we shift our attention to Bob’s analysis of today’s music industry. Bob was invited to speak at Capitol Records’ Capitol Congress event at the ArcLight theater in Hollywood on the topic of “change”. He reminds a packed audience of music business professionals to look to the future because the past is never coming back. In today’s on-demand culture distribution is king and now is the time to focus on content. The Doobie Brothers frontman, Tom Johnston, joins Bob to talk about his early beginnings and being drawn to R&B artists like Little Richard. He played saxophone, clarinet and drums in his youth but ultimately fell in love with the guitar and taught himself how to play. Always inspired by soul and blues music, he played and sang in a variety of bands before and throughout college, where he studied graphic design. Those years ultimately led to the band that would become The Doobie Brothers and iconic songs like “Listen To The Music”, “China Grove” and “Long Train Runnin’”. Randy Bachman of The Guess Who and Bachman-Turner Overdrive joins Bob to talk about his amazing career. He takes us all the way back to his childhood in Winnipeg where he played violin at family parties before discovering the guitar. A dynamic storyteller, Bachman shares captivating stories from his adventures on the road and in the studio including how he wrote “You Ain’t Seen Nothing Yet” and the surprising piano player featured on “Takin’ Care of Business”. We end with a conversation about his spiritual connection to George Harrison and his brand new album, By George - By Bachman. Legendary record label executive, Seymour Stein, is the ears behind countless amazing careers including The Talking Heads, Madonna and The Ramones. Stein shares stories from his early years helping to compile the Billboard charts in NYC and spending a summer in Cincinnati to learn the record business from Syd Nathan when he was only 15 years old. For Stein, the songs are what attracts him to a band, musicianship comes second. He is not only an great businessman but a true music fan and fountain of knowledge. Manager extraordinaire & Canadian Idol TV judge Jake Gold returns to the program to recap the Music Media Summit in Santa Barbara, CA with some insight from behind the scenes, reactions to the interviews with music and tech executives at the event as well as analysis of where the music industry is going next. Oscar-winning filmmaker Bryan Fogel talks about his documentary Icarus. He discusses his upbringing, his comedy and acting career which spawned the off-broadway play Jewtopia prior to creating the film about doping which exposed the biggest scandal in sports history and brought home the Academy Award.02:00 - For the first month, Oscar didn't leave his side20:00 - Started Icarus48:00 - Success of Jewtopia1:02:00 - Hanging with Lance Armstrong1:12:00 - Doping experience1:25:00 - Icarus results1:43:00 - What's next? Deejay turned record label head Daniel Glass reveals his path connecting with artists before the competition. Glassnote Records' founder & president shares insight into how he rose to the top of the music business building upon the success of Sinead O'Conner, Wilson Phillips, Blur, Phoenix, Mumford & Sons, Childish Gambino, and CHVRCHES. Legendary drummer Kenny Aronoff tells the tale of his path to a #1 album working with John Mellencamp. He discusses his background playing timpani for Leonard Bernstein in the lead up to connecting with Mellencamp, and the subsequent career highlights from Bob Dylan to Bon Jovi, The Smashing Pumpkins to the Kennedy Center Honors. 15:00 - Saw The Beatles on Ed Sullivan, Kenny wanted Ringo's job!27:00 - Kenny's dad fought Hitler in the war39:00 - John Fogerty called him60:00 - Mellencamp fired his former drummer68:00 - Hurt So Good was release, and we went to #1, Grammy's, SNL72:00 - Mellencamp quit 74:00 - Bob Dylan, Bob Seger, and Kennedy Center Honors87:00 - Jon Bon Jovi - Blaze of Glory story89:00 - Why is the drummer ALWAYS the business guy?